I would like to learn more about this 2014 Ford Edge SEL. Please contact me as soon as possible! 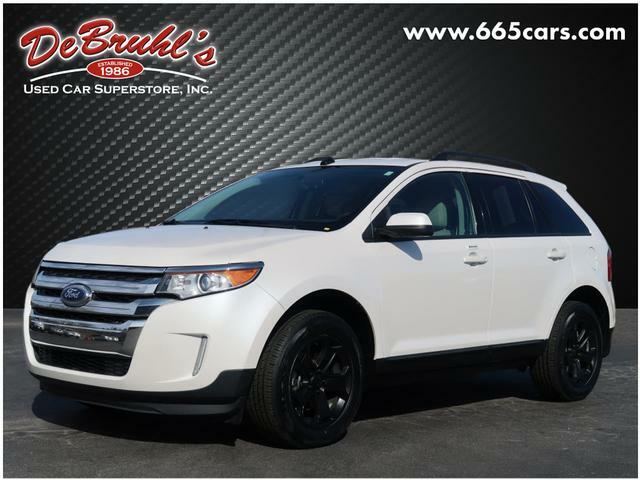 * TELESCOPING STEERING WHEEL * * 6 Cylinder engine * * GREAT DEAL AT $14,950 * * 2014 ** Ford * * Edge * * SEL * If youre shopping for a quality vehicle with perks such as a backup sensor, parking assistance, Bluetooth, dual climate control, AM/FM radio and CD player, anti-lock brakes, dual airbags, and side air bag system, this 2014 Ford Edge SEL may be the car for you. It has a 6 Cylinder engine. Flaunting a beautiful white exterior and a medium light stone interior, this car is a sight to see from the inside out. Be sure of your safety with a crash test rating of 4 out of 5 stars. Dont sit on this decision for long...schedule your test drive today! DeBruhls Used Car Superstore is the largest independent auto dealer in WNC! We offer a full range of financing with our guarantee credit approval, everyone is approved here.